The Assignment block assigns values to specified elements of the signal. You specify the indices of the elements to be assigned values either by entering the indices in the block dialog box or by connecting an external indices source or sources to the block. The signal at the block data port, U, specifies values to be assigned to Y. The block replaces the specified elements of Y with elements from the data signal. Based on the value you enter for the Number of output dimensions parameter, a table of index options is displayed. Each row of the table corresponds to one of the output dimensions in Number of output dimensions. For each dimension, you can define the elements of the signal to work with. Specify a vector signal as a 1-D signal and a matrix signal as a 2-D signal. To enable an external index port, in the corresponding row of the table, set Index Option to Index vector (port). The assigned values are Y(1:end,[1 3 5],4:3+size(U,3),Idx4:Idx4+size(U,4)-1,Idx5)=U, where Idx4 and Idx5 are the input ports for dimensions 4 and 5. When using the Assignment block in normal mode, Simulink® initializes block outputs to zero even if the model does not explicitly initialize them. 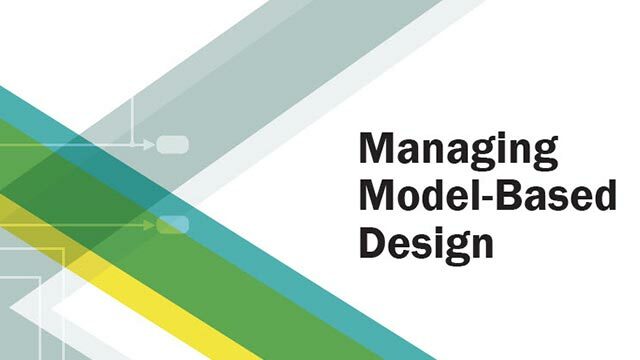 In accelerator mode, Simulink converts the model into an S-Function. This involves code generation. The code generated may not do implicit initialization of block outputs. In such cases, you must explicitly initialize the model outputs. You can use the block to assign values to vector, matrix, or multidimensional signals. You can use an array of buses as an input signal to an Assignment block. 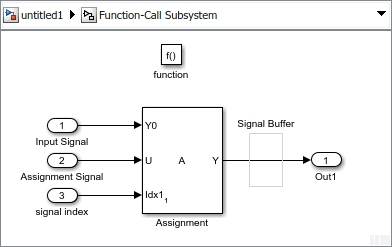 If you place an Assignment block in a conditional subsystem block, a signal buffer can be inserted in many cases, and merging of signals from Assignment blocks with partial writes can cause an error. However, if you select the Ensure outport is virtual check box for the conditional subsystem Outport block, such cases are supported and partial writes to arrays using Assignment blocks are possible. The initialization signal for the output signal. If an element is not assigned another value, then the value of the output element matches this input signal value. Value assigned to the output element when specified. External port specifying an index for the assignment of the corresponding output element. To enable an external index port, in the corresponding row of the Index Option table, set Index Option to Index vector (port) or Starting index (port). The output signal with assigned values for the specified elements. Enter the number of dimensions of the output signal. Select the indexing mode. If One-based is selected, an index of 1 specifies the first element of the input vector. If Zero-based is selected, an index of 0 specifies the first element of the input vector. This is the default. All elements are assigned. Enables the Index column. Enter the indices of elements. Disables the Index column. The index port defines the indices of elements. Enables the Index column. Enter the starting index of the range of elements to be assigned values. Disables the Index column. The index port defines the starting index of the range of elements to be assigned values. Otherwise, Y0 always initializes output port Y. The Index and Output Size columns are displayed as relevant. If the Index Option is Index vector (dialog), enter the index of each element you are interested in. If the Index Option is Starting index (dialog), enter the starting index of the range of elements to be selected. The number of elements from the starting point is determined by the size of this dimension at U. Enter the width of the block output signal. To enable this column, select Specify size for each dimension in table for the Initialize output (Y) parameter. 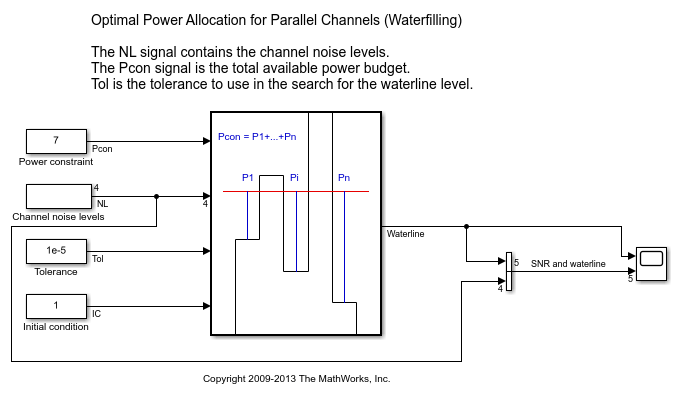 Specify how to initialize the output signal. Initialize using input port <Y0> – Signal at the input port Y0 initializes the output. Specify size for each dimension in table – Requires you to specify the width of the block's output signal in the Output Size parameter. If the output has unassigned elements, the value of those elements is undefined. Enabled when you set Index Option to Index vector (port) or Starting index (port). Error — Simulink software terminates the simulation and displays an error. Warning — Simulink software displays a warning and continues the simulation. None — Simulink software takes no action. Specify the sample time as a value other than -1. For more information, see Specify Sample Time. This parameter is not visible unless it is explicitly set to a value other than -1. To learn more, see Blocks for Which Sample Time Is Not Recommended. Using the Assignment block to assign values computed in a For or While Iterator loop to successive elements. A potential use of the Find block. This block outputs a variable-size signal containing the indices of the nonzero values of the input. For more information on HDL code generation, see Assignment.